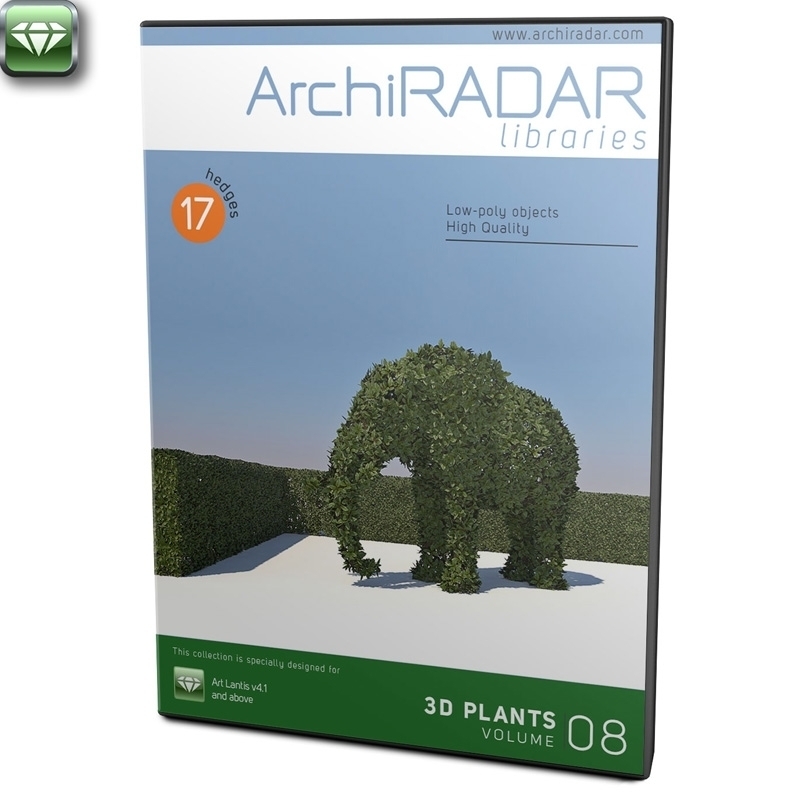 Highly detailed 3d models of hedges with all textures, shaders and materials. They are ready to use, just put they into your scene. 15 3D hedges, in AOF e ATLO formats, compatibles with Artlantis 4.1 or higher. The 3D trees have high quality of detail, but at the same time they are very light.